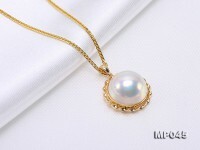 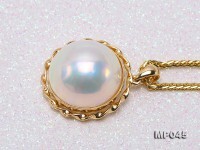 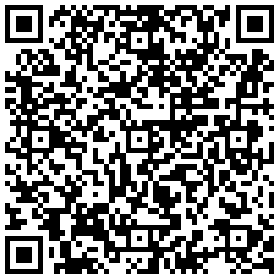 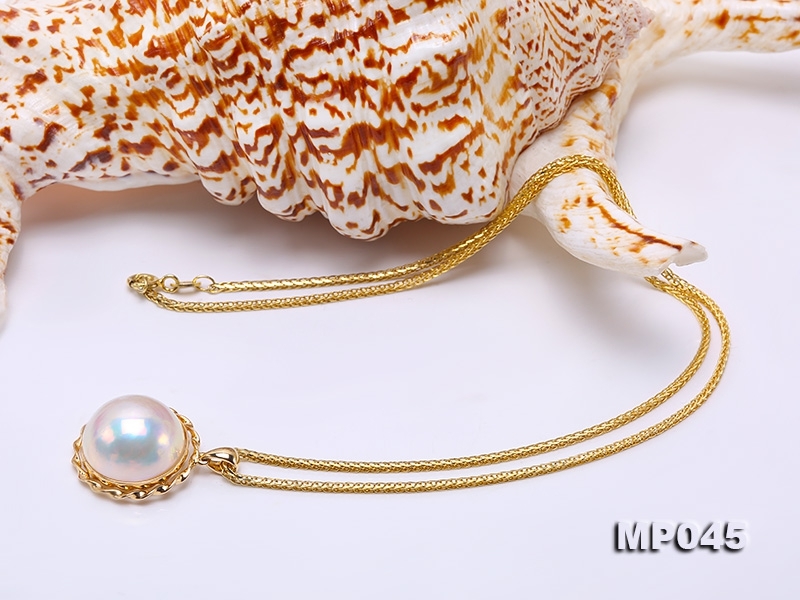 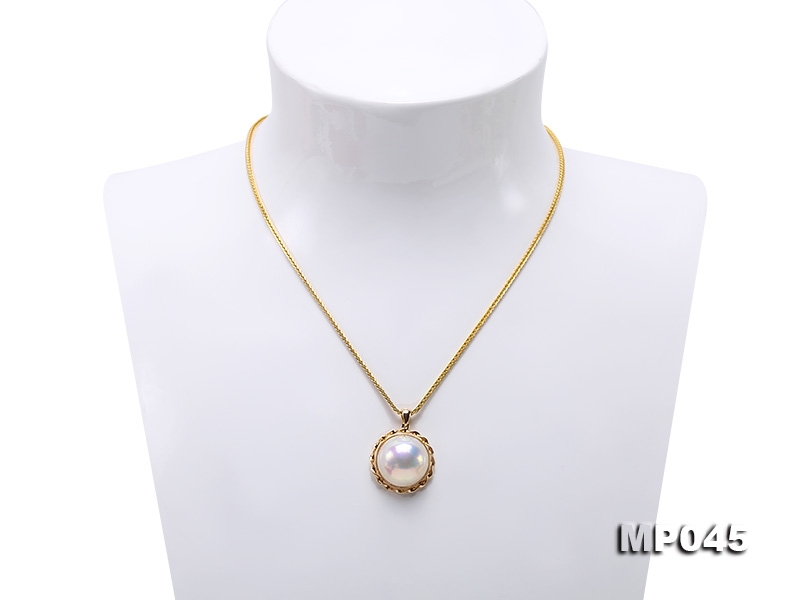 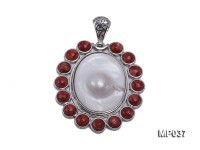 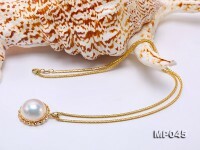 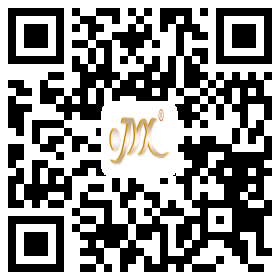 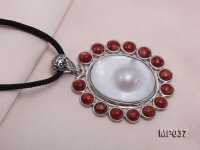 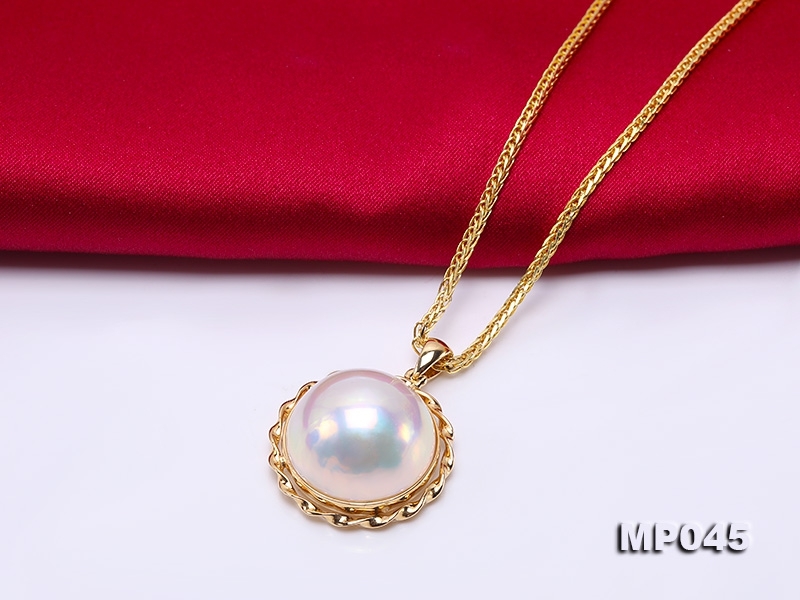 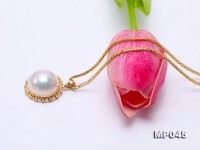 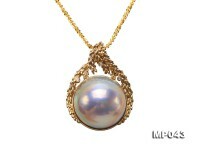 Luxurious 16m Mabe pearl pendant for sale. 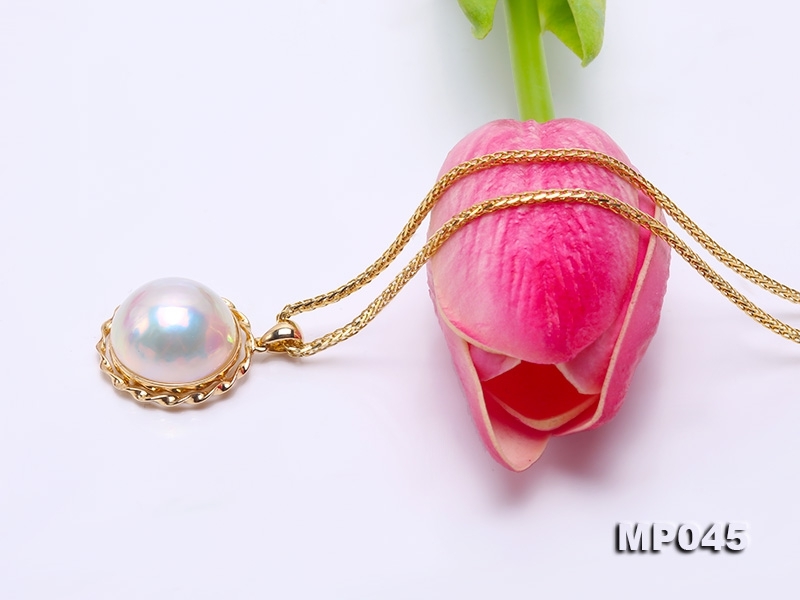 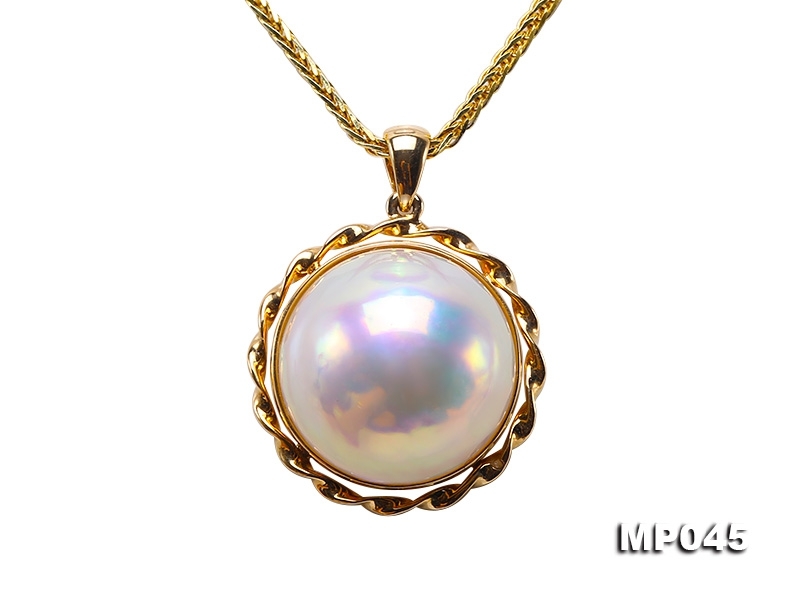 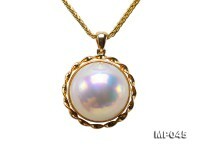 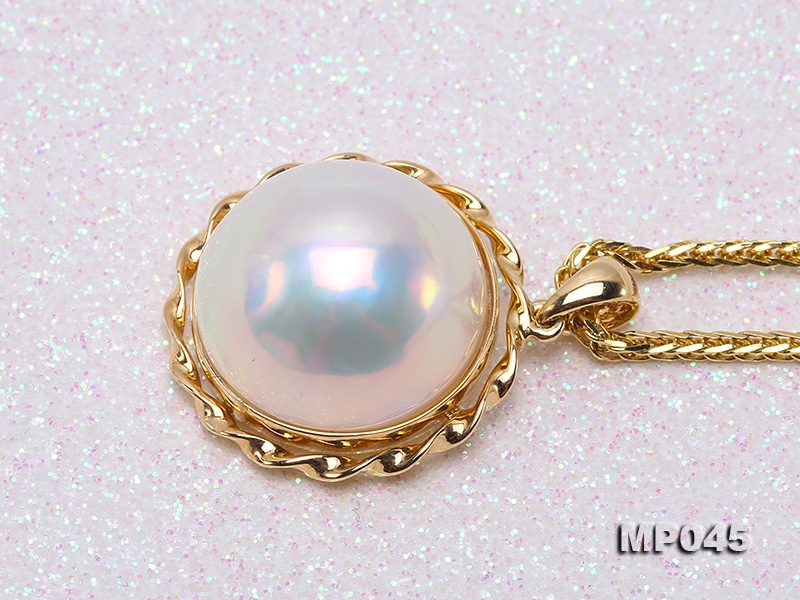 The big size Mabe pearl is exquisitely framed with 18k yellow gold from the outside. 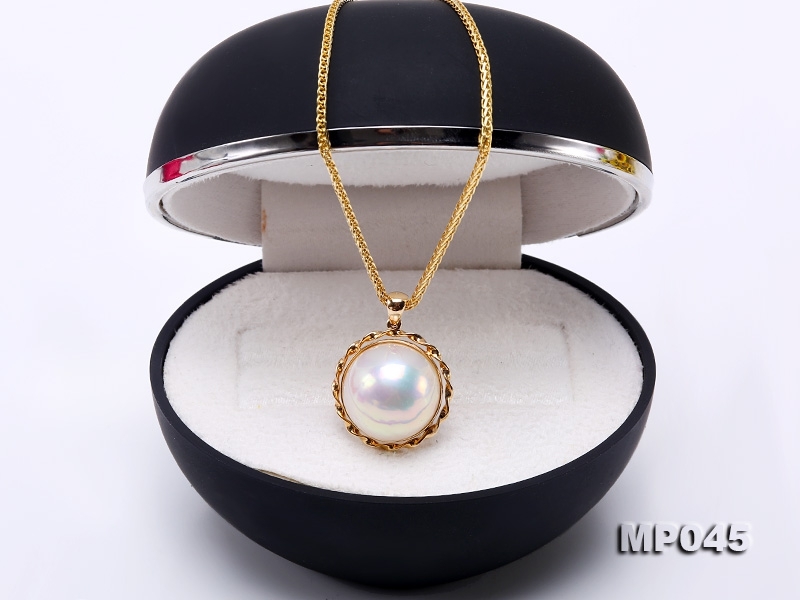 Mabe pearl is a special kind of regenerated pearl cultured by implanting a hemispherical pearl inside the giant Australian sea oyster. 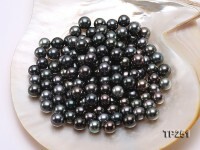 It naturally reflects with strong metallic luster and rich iridescence, which changes while it is appreciated from different angles. 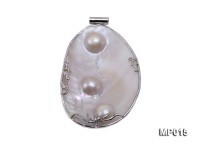 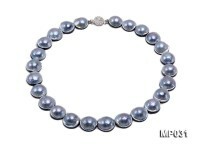 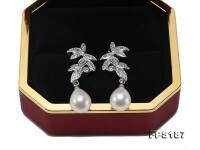 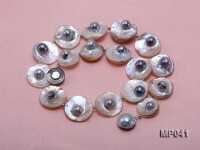 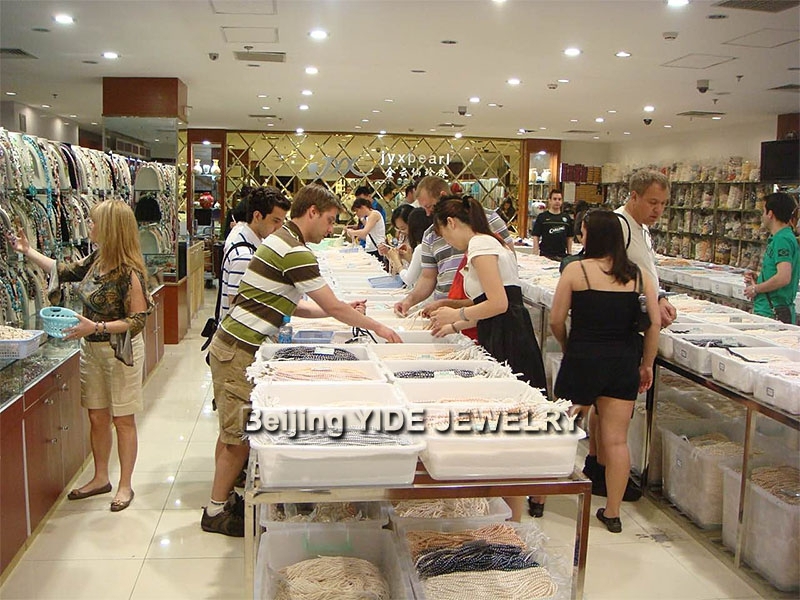 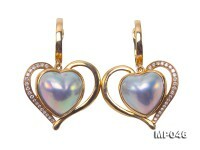 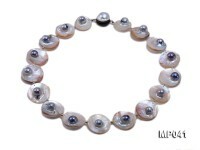 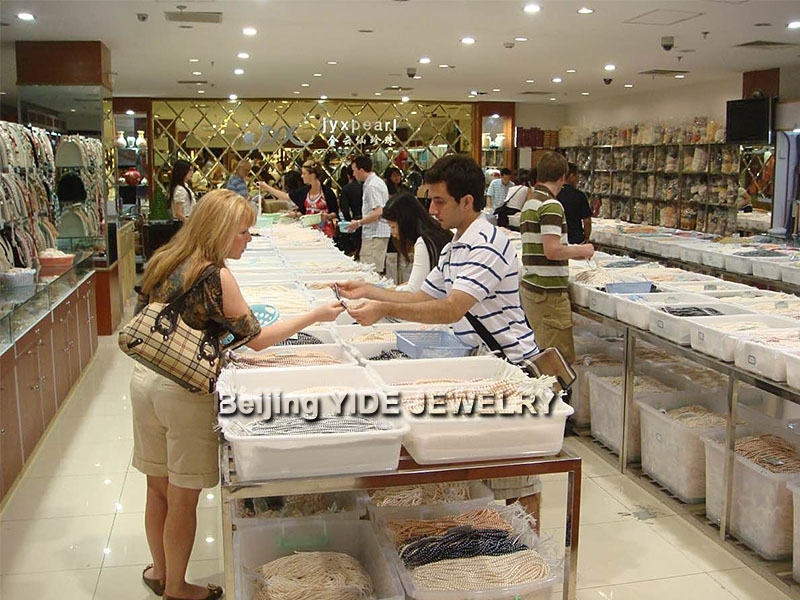 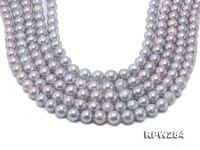 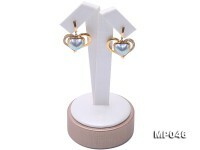 Mabe pearl enjoys wide popularity for its great market value and rareness.